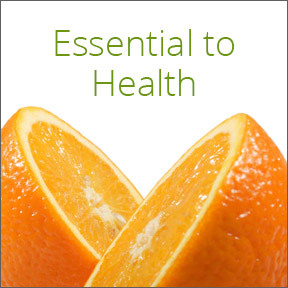 Though essential to health, vitamin C is not synthesized within the body and must be obtained through diet or supplementation. As vitamin C is water soluble and not stored by the body, you need to get adequate amounts of this very important nutrient every day if you want to achieve or maintain optimal health. While it’s rare to be seriously deficient in vitamin C, evidence suggests that many of us may have low levels of this highly protective nutrient. And while scurvy, a potentially life threatening disease caused by severe vitamin C deficiency, has been largely eliminated, there has been a rise in the occurrence of deficiencies due to poor diets, eating disorders, and a diminishing ability to absorb the vitamin. Alcohol and medications such as analgesics, antidepressants, oral contraceptives and steroids may all reduce vitamin C levels in the body. Smoking increases the risk of deficiency. Low levels of vitamin C are associated with health conditions such as high blood pressure, gallbladder disease, stroke, cataracts, some cancers and atherosclerosis. As an antioxidant, vitamin C helps to neutralize free radicals, thereby reducing some of the DNA damage that contributes to cellular aging. Its antioxidant properties also help protect vital molecules such as proteins, lipids, carbohydrates, DNA and RNA. Over time, the buildup of free radicals is believed to contribute to the development of health conditions such as arthritis, cancer and heart disease. Vitamin C is necessary for the normal growth, development and repair of all body tissues. It functions as an essential cofactor in many enzymatic processes including adrenal gland function and the biosynthesis of collagen, carnitine and catecholamine. Vitamin C has a role in both innate and adaptive immunity. It stimulates the production and function of white blood cells and protects the body against reactive oxygen species (ROS) that are generated by immune cells to kill pathogens. While vitamin C may not prevent colds, it is widely believed that children and adults with adequate daily levels of vitamin C have colds of shorter duration and with milder symptoms. Vitamin C is believed to be cardio-protective in its ability as an antioxidant to slow the progression of atherosclerosis. Studies show that it may aid in keeping arteries flexible and may protect arteries against damage caused by plaque buildup. People with low levels of vitamin C may be more likely to have a heart attack, stroke or peripheral artery disease, all potential consequences of atherosclerosis. Population based studies show that people who have high antioxidant diets have a lower risk of high blood pressure than those with poorer diets. If you are at risk for high blood pressure, a diet rich in antioxidants such as vitamin C is frequently recommended. Evidence shows that people who eat diets rich in vitamin C are less likely to be diagnosed with arthritis, as the antioxidant properties of vitamin C appear to limit joint damage from free radicals. Vitamin C is essential for collagen production. Collagen is a normal part of cartilage, which cushions joints and aids joint function. Free radicals are believed to contribute to cartilage destruction, advancing the natural aging deterioration. Along with the antioxidants zinc, beta-carotene and vitamin E, vitamin C acts to protect the eyes from macular degeneration, the leading cause of blindness in people over age 55. To get the most benefit from supplemental or dietary sources of vitamin C, be sure to eat lots of raw or lightly cooked fruits and vegetables and be sure to drink plenty of fluids. There are many types of vitamin C supplements available. To find the right supplement for you, call or email Professional Supplement Center. Our knowledgeable staff is always happy to assist you. Ultra Potent-C 1000 mg by Metagenics – This supplement features a patented, proprietary blend of vitamin C delivered in a unique metabolite formula to enhance utilization, while preventing potential stomach upset. Gluten free, Non-GMO formula. Buffered Ascorbic Acid by Pure Encapsulations – This product combines calcium ascorbate, magnesium ascorbate and potassium ascorbate to create a neutral pH vitamin C. Gluten and soy free, Non-GMO vegetarian formula. Vitamin C with Flavonoids (C152) by Thorne Research – This synergistic formula provides 100% pure crystalline ascorbic acid with naturally occurring citrus bioflavonoids. Gluten, soy and lactose free, Non-GMO vegetarian formula. Natural C 1000 mg (7920) by Douglas Laboratories – This product supplies 1000 mg of vitamin C along with rose hips and an additional bioflavonoid complex. Gluten and soy free, vegan formula. This entry was posted in Home and tagged Buffered Ascorbic Acid by Pure Encapsulations, Natural C 1000 mg (7920) Natural C 1000 mg (7920) by Douglas Laboratories, Stay Healthy with Vitamin C, Ultra Potent-C 1000 mg by Metagenics, Vitamin C, Vitamin C with Flavonoids (C152) by Thorne Research. Bookmark the permalink.